“Just under two weeks ago I was awarded my FWC Black Sash. To put this into context, they have been awarded so rarely in the past, that I had honestly decided that they were, in fact, the stuff of legend, and that I would probably never receive one. So I was, as you can imagine, absolutely delighted (and, if I’m honest, a little thunderstruck) after 28 years of training to finally have the honour of Chief Instructor Dennis Ngo first tell me that I had earned it during lunch on Instructor Camp in Egypt, and then tie it around my waist in Sunday Class at Angel. After what might be considered a slightly rocky start to the Year of the Rooster, what an amazing thing to happen! It is without doubt one of my life’s crowning achievements, becoming the major landmark in nearly three decades of daily training. By far outweighing my British National Titles and the Gold Medals I have won in China. It’s been incredibly tough at times. 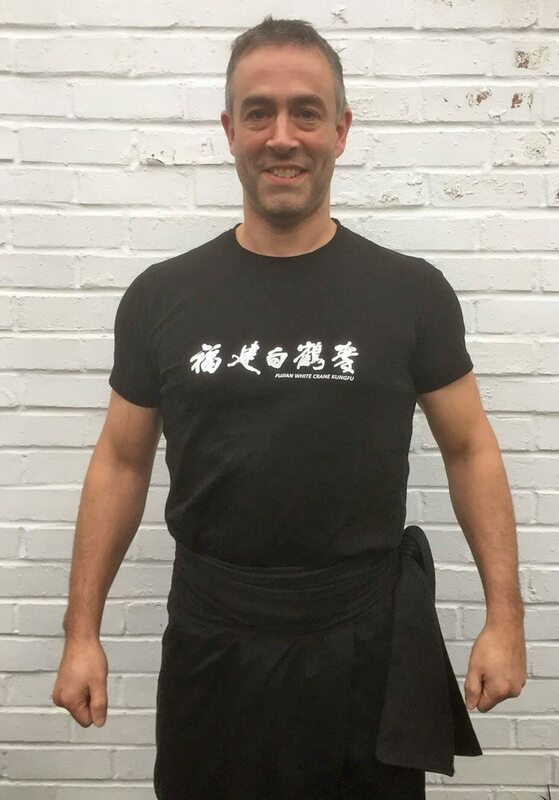 The pressure to be the best I possibly can be, both in my own training and in my teaching of Kung Fu, has been relentless, and I’ve seen so many others give up and take their journey elsewhere. And because it has been so tough, the reward is so much sweeter, and of course it feels fantastic, and I’m very proud of what I have achieved. But it had never occurred to me that almost as soon as the sash was around my waist a greatly increased sense of responsibility would settle itself upon my shoulders. My perspective has shifted, and I have to be even better now. As I may have mentioned elsewhere, whilst my sash might be legendary, there’s still work to be done in ensuring the rest of me achieves the same status. The bar has been raised much higher as I press onwards to learn as much of the style as I can convince Chief Instructor Ngo to teach me, and of course my teaching ability has to climb as well. Who is Dave Courtney Jones?